Concussions have been a hot topic in the sports medicine community for the last few years, and has really been brought to the forefront due to the recent publicity from the NFL. However recently, I’ve learned there are still a lot of misconceptions about concussions and concussion management. The medical community has changed best practices for concussion management a lot in the last few years, from mandatory concussion protocols in some sports to help detect concussions and protect athletes to the rehab (yes rehab is a vital tool to helping an individual recover from a concussion). Unfortunately this message has not been passed along to the public very well. I’ve heard from friends, family members, even members of local school districts who are still trying to manage concussions the way we used to. Some symptoms may be harder to detect than others, while some individuals may not display any signs or symptoms of a concussion, even though they have suffered from one. These symptoms can linger for days, weeks, months or even longer. The first big point I want to make is that it used to be believed that once a concussion was suspected, that you were not supposed to let the individual sleep. It was thought that if you had a concussion and you fell asleep, there was a good chance you could slip into a coma. What we now know is that this couldn’t be further from the truth. Reducing stimulation and allowing the brain to rest and recover are extremely important in the early stages of a concussion. This also includes limiting physical exertion as exercise can enhance concussion symptoms. Remember rest, and decreased physical and mental exertion are extremely important until you are symptom free. This means limiting exposure to activities that require mental concentration, for instance limiting time watching TV, video games, playing or working on a computer, texting, reading books or magazines, and even school work. A patient with a concussion may need to attend school or work with reduced hours and with frequent breaks. As symptoms improve, a gradual increase in screen time and activities requiring concentration can be applied. If you are trying to return to a sport, regular exercise or other physical activity it’s important that this process is monitored appropriately. Exercise at certain heart rates have shown to bring on symptoms even for someone who has no concussion symptoms at rest. This is why a physical therapist plays an important role in concussion management. What Does a Physical Therapist Do to Treat Patients Suffering From a Concussion? We now know that there are multiple components to evaluate after a patient suffers from a concussion. A physical therapist should look at all the systems of the body involved to help determine the best plan or care. Some patients may need manual therapy to restore mobility in their cervical spine, others may need soft tissue mobilization to reduce tension in muscles effected. These muscles often include the upper trapezius muscle, the small cervical extensors that attach to the base of the skull, to upper back muscles around the thoracic spine. Other patients may need to work on balance and coordination. Vestibular rehab may also be necessary to improve balance and reduce dizziness. Once a patient is symptom free at rest, a gradual increase in physical activity should be attempted. Monitoring heart rate and blood pressure can help a physical therapist determine at what levels (if any) symptoms reappear during exercise. Once a physical therapist completes this assessment, they can assist in training a patient at appropriate intensities to increase a patients levels of exercise tolerance. Other exercises like visual retraining, habituation exercises and concentration exercises can also be applied during concussion rehab. These concentration techniques may be implemented during heart rate training to help an athlete re-acclimate to the physical and mental demands placed on their body during sports. Think you have a Concussion? If you think you or someone you know may have had a concussion, you should seek medical care for diagnosis and advice on proper care. Look for an expert in concussion management to help guide you along the way. If a youth athlete is suspected of having a concussion they should be immediately removed from competition, and evaluated by a professional. Managing a concussion can be a long and frustrating process, but it is important that you take the right steps early on to minimize discomfort and reduce long term effects. 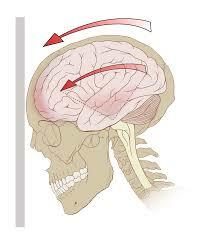 A full recovery from a concussion means you have no symptoms either at rest and no symptoms with activity. Remember if you think you have a concussion seek medical care promptly. Athletes who possibly sustained a concussion should be removed from competition immediately, and should not return unless cleared by an appropriate medical professional. If you are diagnosed with a concussion, reduce screen time (TV, cellphones, and computers) and mental stimulation as much as possible to allow the body and brain to rest and recover. Just because you have no symptoms at rest doesn’t mean you have fully recovered. A physical therapist or other medical professional should monitor your symptoms at gradual increases in exercise intensity to ensure an individual has fully recovered. Seeing a physical therapist can help accelerate recovery by providing appropriate manual therapy, vestibular rehab, balance and coordination exercises, visual retraining, and mental concentration exercises.